How can the agricultural sector be strengthened and made resilient enough to secure food and nutrition for a growing world population? This was the core issue of this year’s Global Forum for Food and Agriculture (GFFA) which was held from 16 till 18 January 2014 in Berlin under the title of “Empowering Agriculture: Fostering Resilience – Securing Food and Nutrition”. Over 1,500 participants, which this year included 65 ministers from across the world as well as five international organizations and the European Commission, discussed during the GFFA how agriculture and rural areas could be strengthened and made more resilient. The event focused on three fundamental principles: Diverse production – sustainable management of natural resources – increased productivity! At the 6th Berlin Agriculture Ministers’ Summit, Ministers from 65 States underlined their firm resolution to eradicate hunger and malnutrition and to realize the human right to food. They said that, in the light of the “International Year of Family Farming” called by the United Nations, particular attention should be given to the needs of family farms in the agricultural sector. The International GFFA – Panel featured high-level representatives from politics, science, research and civil society discussing ways to overcome hunger and malnutrition through an efficient and resilient agricultural sector. Within the scope of the GFFA, a number of different organisers from politics, industry, science and civil society therefore hosted a total of 21 expert panel discussions, inviting participants to discuss this core subject from different angles and as it related to different regions. The European Commission, the Food and Agriculture Organisation of the United Nations (FAO), the Environmental Programme of the United Nations and the World Bank participated with own working meetings in the GFFA. 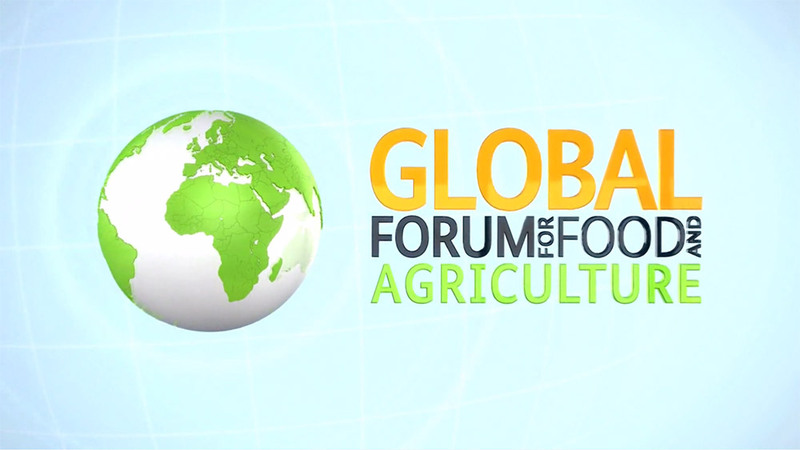 For the first time, an official kick-off event was held to mark the start of the discussions between high-level experts of the global agri-food sector from politics, industry, science and civil society that took place from 16 to 18 January 2014.